Hats Off! 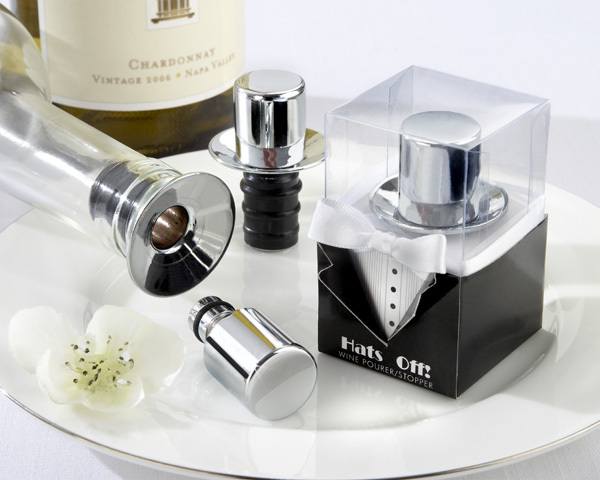 Chrome Top Hat Wine Pourer/Bottle Stopper - EconoBride - Budget friendly wedding favors. �Showcase gift-box design includes a clear top and black, tuxedo-style base, with black buttons on a white, tuxedo shirt, cutout tuxedo lapels and an aristocratic, white, satin "bow tie"